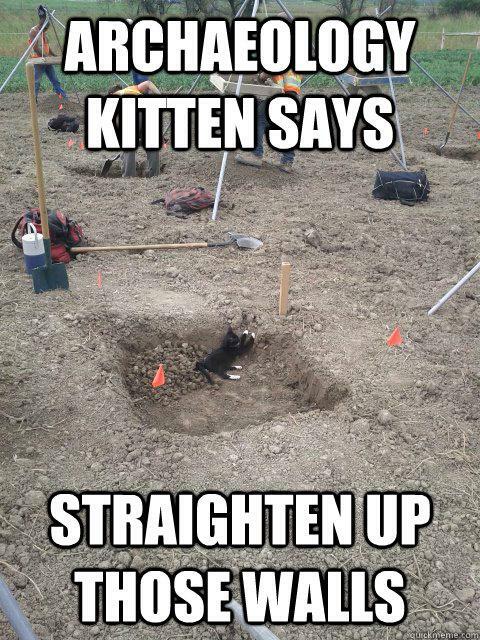 Archaeology Kitten Says "Straighten Up Those Walls!" Check out Colleen Morgan's new poll for archaeologists "Do you still use film in archaeology? Or are you purely digital"